It’s been a while since I posted anything for my Friday Fav. So here you go…. 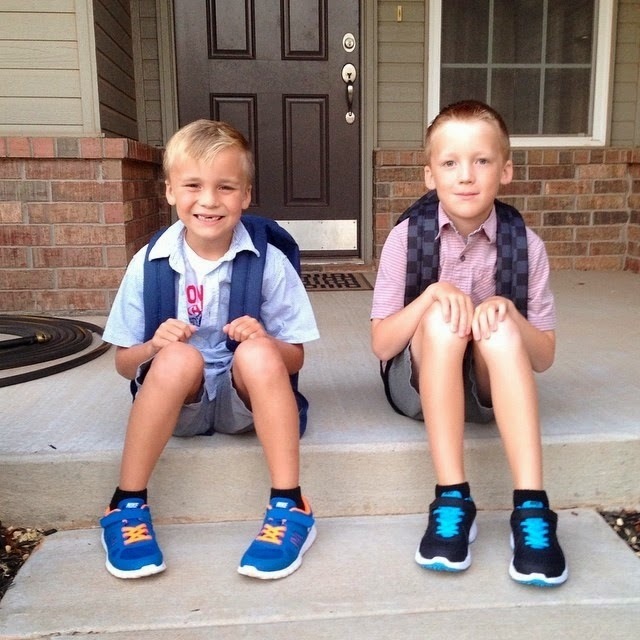 I have viewed a ton of 1st day of school pictures this week on Facebook and Instagram, all of them were adorable. So, I decided this morning to give a big shout out to my favorite lil people with their 1st day of school pics! I can’t believe they are 1st, 2nd and 3rd graders! What? What happened to summer and who said they could grow so fast! I am excited to hear all about their first days in a new grade, with a new teacher and new friends. The boys are bus riders now…remember those days? Treasuring the moments of their lives! I absolutely, positively, love being their Nana. P.S. I borrowed these pictures from their parents!